When you hear the word reflexology, what comes into your mind? Most people merely think of it as a form of massage that only brings relaxation. To understand the exact nature of reflexology therapy in more depth, you would probably need to read a whole book. However, just to give you a general insight, reflexology is far more than just a massage. It is a technique known worldwide, which uses a compression-rubbing technique to massage areas called reflex points. These reflex points are linked to, and can influence energy to specific corresponding places in the body. Very often this energy flow becomes blocked or slows down and when this happens reflexology can clear, strengthen and remedy this problem. Reflexology will bring about not only relaxation but also relief from stress, pain and various ailments. In addition, it helps by stimulating the different systems in the body particularly the digestive and nervous system. It is a holistic approach that induces balance both in mind and body. Some of the ailments that reflexology can heal are migraines, chronic headaches, sleep disorders, PMS, digestive disorders, back pains, and ailments that involve the respiratory system. A little known benefit of reflexology therapy is during pregnancy, and in particular as a part of pre-natal care. Safe reflexology treatment may be given from pre-conception, during pregnancy and even after childbirth. 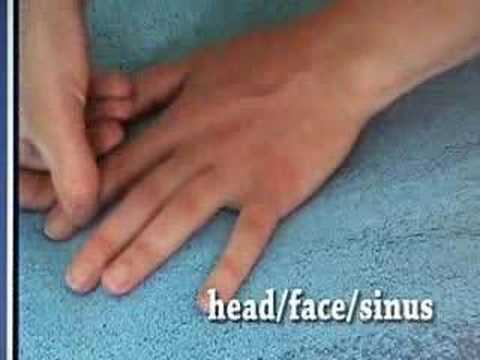 This shows you how gentle and non-evasive reflexology can be. Some midwives around the world use reflexology and they report that it is highly effective. Reflexology can also help couples who would like to conceive. Treating both parents-to-be will help them relax and reduce stress, which unfortunately is a common problem for couples when trying to conceive. It will also help them sort out any health issues at the same time, and will eventually help them to their best state of health for conception. Due to its balancing effect, couples can maintain manageable stress levels and aid proper sleep. For mothers-to-be reflexology can bring about a huge relief especially during moments of back pain due to extra weight and posture. Reflexology can help aid discomforts such as high blood pressure, mood swings, fatigue, sleeplessness, morning sickness, back pains, constipation, pubic pain, heartburn, and leg cramps. After the delivery, a reflexologist can help the bodys shape return back to normal. Adjusting to normal life again after giving birth can cause much stress, and this therapy can also help here too. In the post-natal period, mother, father and baby can all gain benefit from this treatment. A weekly reflexology session is recommended, and you can even hold your baby and breastfeed while having the treatment. Mothers should know that reflexology can help with lactation difficulties, and it can cure mastitis or tenderness of the breasts. Reflexology is safe and excellent for new born babies. The babys body has reflex points too, although you have to be extra gentle when touching them. Ask your therapist for their advice; maybe they will show you the proper way to do it, especially if it is something easy. For babies ailments such as constipation, distress, and a colicky tummy can be improved. If you plan to carry out any reflexology on your baby yourself, do make sure that your baby is always relaxed, warm and comfortable before carrying out any form of touch or massage, and be careful never to overdo it. Remember this is also good bonding time, so look into your babies eyes and talk to them. This is quality time. Do not underestimate the power of reflexology for you both. Be happy and relaxed and your baby will be too. There is much evidence that any regular massage of your baby will improve their immune system and ensure normal growth levels. Best Specialist for Your Skin Type? The main mission of this article is to provide the basic knowledge about the skin treatment and the efforts of our specialists. This article really acts as a guiding spirit for anyone who really wants to take care of their skin. It is not lie that pollution is reaching to the heights day by day. Our skin is becoming damaged. Everyone wants to make their skin healthier. Roshan Hospital offers the best Skin Care Specialist they all are highly educated and experts in their particular field. Let you know the thing that only the fame of the hospital never does work. But the main point is that it all depends on the specialists who all are providing their services to the patients. It is all about their study and their work experience which become a boon for our life. At Roshan Hospital, our doctors have very calm and sweet nature in order to providing their services to the patients. Our doctors are specialists in skin whitening treatment, laser hair removal, skin aging, stretch marks removing etc. They always give the positive results to the patients. All the patients of our hospital become happy due to the efforts of our doctors within affordable charges. Our Skin Care Specialists firstly analyze your skin problem from the root. After that they try to find out the reason of your skin problem. After gaining the whole sole knowledge about your disease then after they act in their best way. At Roshan Hospital we always prefer the latest technology in order to achieve the best and positive results for our patients. We aim to provide a healthy, smooth and baby skin to our patients. Skin Whitening Treatment: – It is really a will of every person to get healthy and white skin. We offer you the therapy through which you can surely get the even skin tone. Skin Aging Treatment: – Our Skin Care Specialists offer you best therapy regarding the same. They protect their skin from getting wrinkled. Stretch Marks Removal: – Stretch marks are the major problems in the skin of any person. We have the latest therapy in order to remove the stretch marks of our patients. Laser Hair Removal: – Laser Hair Removal is nothing but to remove your skin hair permanently. Our experts are very much skilled in this type if treatments without any side effects. We provide all the facility within the cost effective manners. Acne Treatments: – Now a day this is the common skin problems of the teenagers. It mainly occurs due to the dust, pollution etc. In the other words due to unhealthy environment. Summary: Our Roshan Hospital always prefers the latest technology in order to provide best of their services to their patients. We also have a great team of Skin Care Specialist; all are highly educated and experienced in their particular field. All give the best of their efforts in order to provide the healthy and great skin of their patients. Life is stressful. Work, kids, chores, errands, friends, in-laws, etc. The truth is, we could all use a relaxing, revitalizing massage. But how and why do massages make you feel so good? My goal through this series of short articles is to give you a few technical tips explaining why massage is good for you and how it is now more accessible to residents in the northwestern Dallas suburbs of Colleyville and Highland Park. A primary and key benefit of massage is its healing power to relieve stress and aid in relaxation. A few areas that get in the way of this natural healthy state include muscle tension, stiffness, strained muscles, and sprained ligaments. Muscle tension causes aches, pains, and reduces your body’s range of motion. Sadly, the more we ache and pain, the more we resist these movements and further reduce the overall range of motion. The cycle is vicious and harmful to your body. A massage targeted toward these problem areas relieves muscle tension, prevents stiffness, and brings your body back into a relaxed state and improves your overall range of motion. Strained muscles and sprained ligaments also cause our bodies undue pain and agony. Strains and sprains require time and tenderness in order to heal properly. Massage promotes the faster healing of strained muscles and sprained ligaments. An effective massage can target muscles in joint areas which will keep the muscles relaxed and promote tone allowing your muscles to truly perform their job with maximum effectiveness. In turn this reduces the stress on your ligaments between bones so that they may provide maximum stability and strength at your joints without carrying the load intended for muscles and tendons. These healing benefits of massage keep the muscles in a healthy, relaxed state. This reduces muscle spasms and prevents the cycle from repeating itself and keeps your body in an overall better state of health and well being. The stresses of everyday life can take a toll on your body and mind. Getting massaged regularly reduces this toll by releasing the tension within your muscles and helping you reach a state of total relaxation. Thankfully for residents in the northwestern Dallas suburbs of Colleyville and Highland Park, in-house massage is now more accessible. Balken Massage provides custom out-call massage directly to you, in your home or at your business. This no hassle approach supports the overall intention of customized massage. After a relaxing session in your home or office, you are able to remain in the state of total relaxation without the stress of ending your session based on someone else’s timer.